There's nothing rustic about these rural hotels in Mallorca! With up to 5 star DL ratings, Mallorca's rural hotels and spas offer comfortable and refined holiday accommodation in some of Mallorca's most beautiful places. 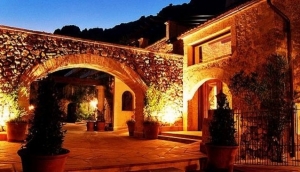 Luxury rural hotels in Mallorca such as La Residencia attract the rich and famous and many Mallorca villages are attractions in themselves. Feel at one with the beautiful countryside while hiking or cycling one of the many official routes, or get a bird´s eye view of Mallorca by booking a balloon ride.